Sijui if this things still happen ama its changed now ..i.e the life of nairobi The way we used to deal with it kitambos .yaani the things we did would clearly deserve an nobel peace price. for jamaas who had roots in nakuru like myself and other intoxicated nairobians ….maze we would shika trips to – Coco Savannah Nakuru @ 7pm . those day there were no accidents on that road then like there are today. I remember when mercury and princess were the places to meet guys after 4th. Anyone remembers a bar called Kinangop next to Princess that had bone soup boiled with Warus and pilipili. The concortion was used for killing hangy’s on Sunday and/or Monday Mornings.But I swear if medics studied it further it could probably cure tons of uncurable diseases included Mental retardation and epilepsy! Coming to think of it who will ever forget the grand services of Munyiri’s Fish & chips and Luthuli this joint had the Best chibas to kill a hangi, mafuta was recycled so many times it had no cholesterol left. The chili sauce was so diluted you just used it to cool your chibas . The chibas especially Luthuli ones were mob. !maze!! the only beef is you would not remember where you packed the “racks” kwanza if it 2 am and you are with a bunch of drunk kenyans…. 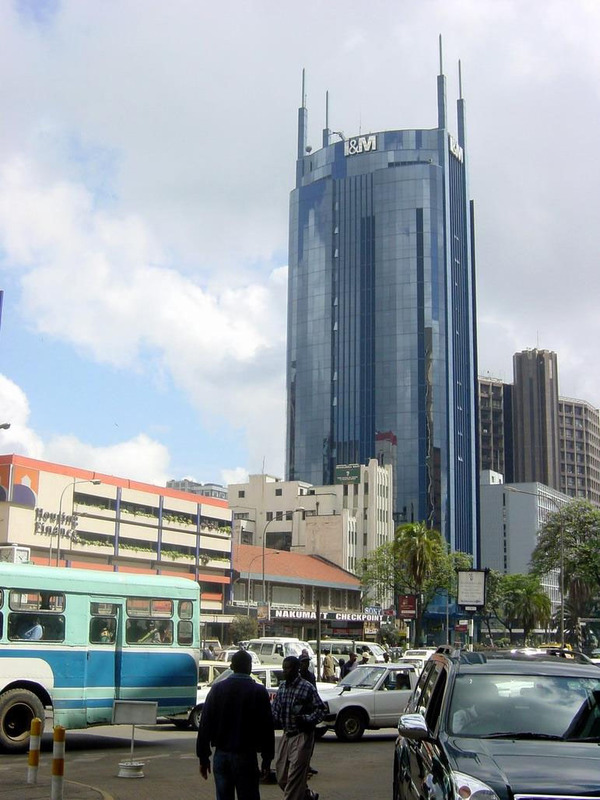 Then one your way to the club there was Kenchic and blueroom two major kenchics one one kimathi street karibu na tacos.. and one huko in moi avenue towards Tsc Building…. .. ukizidi sana you would peleka her to wimpy and she was yours for keeps! !si this were the Two first places to take a mama and be almost assured she will go pantiless by sunrise the next day…..
now the mutha of all places Nairobi west bars! akina Jeans and their never ending patrons!!.. kwanza the nyamchom was to die for.maze in my ka opinion ..Nairobi West was the coolest joint in nai cuz..
2- Within proximity of both south c -south b highrise,ngummo via 33’s also proximity to langata . 3- k2 was right there walking distance when you broke also kengeles west. 4- Mats never kosad you chuck from digz at7.30am fika tao by 7.45 a.m even with worst traffic on UH. 5 No 14’s were never hijacked. Queue @Tusker was always without hustle. 5 -You could stay late in CBD and a taxi would be Ksh 250/= at most. 6 -In the early 2000’s you would ride the Karen -langata n KBS metro shuttle which always had some other FLY chilles .The catch was that you had to pay 3 times the kawaida fare ( ksh 30 /=) but the beauty of those girls was worth the 30 bob! 7 – the kinyozis in westy that never closed till 12am .There was one kamba guy called Mutuko, guys would chill for this guy for 2hours just to get their Groove on. kina damu pevu ,floodies.. Black rock safari sevens and all the tornas.. yaani everyone attended including those who never knew anything about it..!! Some pumbavu soccer fans wondered why the goal posts were different!!!kumbaff! 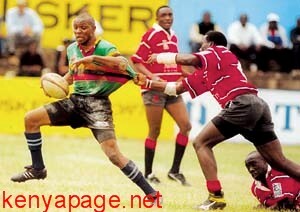 all in all ..blackrock,Damu pevu,Presscott and later on safari sevens. were thara … Problem was that, those fly chiles were bila time for you cuz that time ushashuka from kenya bus No121(To rongai /kiserian ama? )and your clothes were all wrinkled up and you trying to holla at the same chicks with guys who checked in with BMW’S and the works.Maze that was hardknock life! its been Close to 10 years now.since those days of that ka life . things have changed alot.. the energy is gone.. now ati we are part of a working nation .. thinking of marrying someones daughter.. .F*&&k*!!! either way I will check in jamhuri dec and I am hoping to feel it once more .. Dont know if that same feeling will still be there!! first! Okay, I honestly don’t relate to any of the stuff in your post, hehe.but you get to go home soon,that’s awesome! But seriously though, what do u mean ati texas isn’t so big, kwani I know you? bilas i dont jua your manenos but since usemad you in H-town ..si can bet you benjamins we share pals… cuz I got pals somewhere along I-59 fwy those sides of gallarea dont even talk about D-town .. I knew coco savannah from high school yes high school and XTC in naks.campo was princess, steps, kinangop that soup was so worth it with those tin cups.You must remember jakays,zinos etc. F2 been there a few times but hate it coz of the langas lakini the music is tight. the floor with mirrors so that you can grade yourself as you shake booty LOL. Munyiri’s mingi fries and half of them were black, the tujoints huko tsc, sonford fish and chips(still go there for take away after rave). Rugby still go just to see the men in small shorts LOL. will have one on me in Dec LOL. maze coco was the shhyiiit back then. you were anon starter if you never went to coco …kwanza like it was a must you kula a black out to be a certifed party animal so did you also fika naks 10 aside in june/may for rudge? … naskia there are completely different clubs nowdays huko..
december keroro is on your tab. and be read to buy enuff. …. haha jaykays we we regulars mpaka i am sure we paid school fees for 2nd termfor the owners kidos based on the money spent hukos..
LMAO 😛 @ munyiri fish n chipz ati its been recycled so many times till theres no cholesterol left! lmao . like wambui Jn I can’t relate to this but soundz like ya’all had losta fun!! them dayz..
haayaa its true why do you think kenyans will never grow FAT even though we used to eat 1/4 kuku and chips for lunch and supper 5 days a week and still a jamaa is as thin as hell .. its cuz hakuna any fat kwa that oil! Munyiris was the one! and their chibas were moooob. but I was saaaaad when they closed Tumbos at Adams and made it into a coffeee shop! Coffeee????? wewe wacha ? when ??? maze kwani whats cutting kwani with peeps ?regulars hepad ama? btw one of my pals belivied tumbos was Godsen ju she lived like 3 blocks away..
Chamgei, not to worry, the Kenchic joints are still there na chilli bado majimaji. And as a plus, The soup for Kinangop is still there but styled up kidogo from metal cups, now they use huge beer mugs! haaiya they wachad those cups which were more suited for wamaitha bar & restaurant in ndarugo thika… and not CBD . ? ?kweli the economy has improved ..ati now they use beer mugs kuserve thufu? bora they dont change the quality of the soup( though my buddy was 100% sure that it was donkey meat soup… ..
Ati “mafuta was recycled so many times it had no cholesterol left.” That is funny! nakusho ….if you looked at the oil in the deep frier its pitch black.. then gishungwa was wondering why half the chibas of munyiris were black.gish wewe you were been servered those fries that never left the frier for 48 hours then you kuja @ 2 am you too messed up to care for quality…unapewa bottom layer..unaenda kujienjoy tu. Coco savannah and Dimples in Naks***sighing. memories memories. was our club as we were having our brain fried hapo Njoro Campus. Vituko zile zilihappen humo humo wacha tu! maze its seems like yesterday… i had pals in njoro campus and they tell me of durama of having to deal with villagers wacha tu…….. they just cant thug a goat from a msapere and he wachas you like that hell no!! Wow, you have taken me down memory lane bro! Things in nai have changed so much, you can barely recognize it. The rave died. Clubbing and nightlife in nai today is a faded shadow of what it once was. You cannot dare step into the likes of Modern Green today if you’re not a regular, u might not walk out alive. But thanks for sharing!